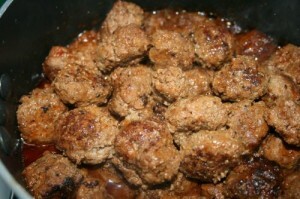 Meatballs are a very simple food to prepare and learning how to cook meatballs is also very simple. 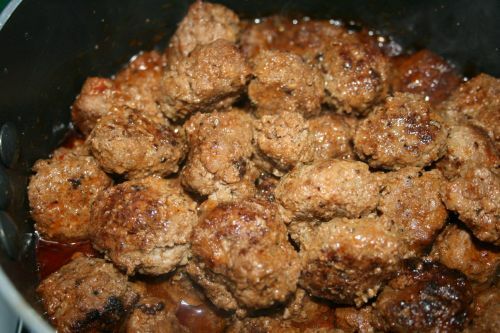 Because meatballs are so simple the quality of ingredients used is important. Never skimp on ingredients when the recipe is simple. When there are few ingredients it is difficult to disguise if one of them is substandard. So buy and use quality meats and cheese and your meatballs will be delicious. Combine the first 8 ingredients together in a mixing bowls. Make sure are ingredients are well combined and evenly distributed. Slowly mix in bread crumbs. Slowly add the warm water a little at a time. It is not necessary to use all of the water. You want the mixture to be moist but still able to hold form. Use your hands to form the meatballs. They should be about the size of a golf ball. Fry in small batches using olive oil. Add sauce if you wish. Enjoy!